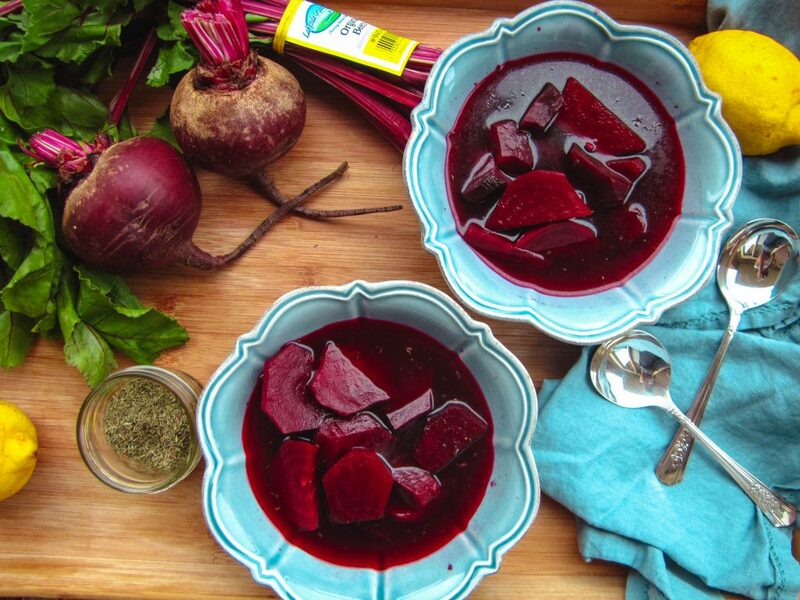 Borscht or Barszcz Czerwony is one of my favourite Polish soups. 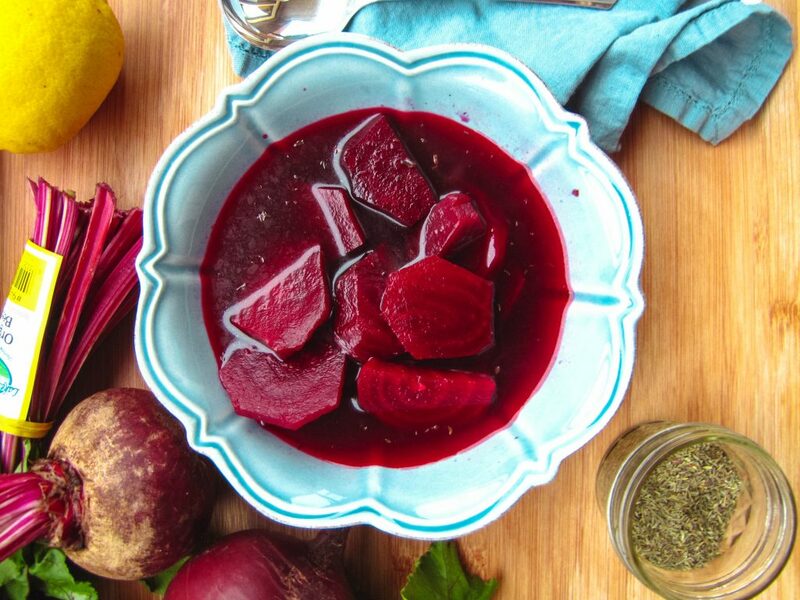 I have so many beautiful memories with this soup, munching on beet using my fingers when I was little, introducing borscht to my childhood friends, learning how to make barszcz czerwony from my mother and now making it at my home for my family. 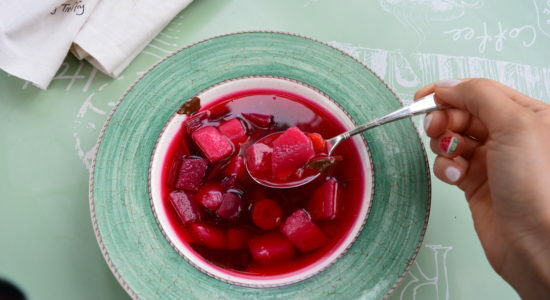 There are different versions of Borscht across the Slavic countries and cultures, even in Poland, depending on the region and the season the preparation of the soup is different. It is a sweet and sour dish that is perfect during the winter months and is so nourishing for the body. This version of barszcz is a traditional version made from bone broth, I will have a ‘postne‘ version that is consumed during Christmas Eve. Postne means ‘fasting’ in Polish, it is a version that does not contain meat and is made instead of dried wild mushrooms instead of bone broth. This particular version is one I know very well as I have grown up watching my mother make it every Christmas and throughout the year, my brother and I love this soup. The way my mom makes it creates a beautiful and deep purple-red coloured broth with such a wonderful deep flavour. It is wonderfully simple it just requires a bit of time to make. My mom has given me a few great tips for making this soup. The first is to cook the beets very slowly. 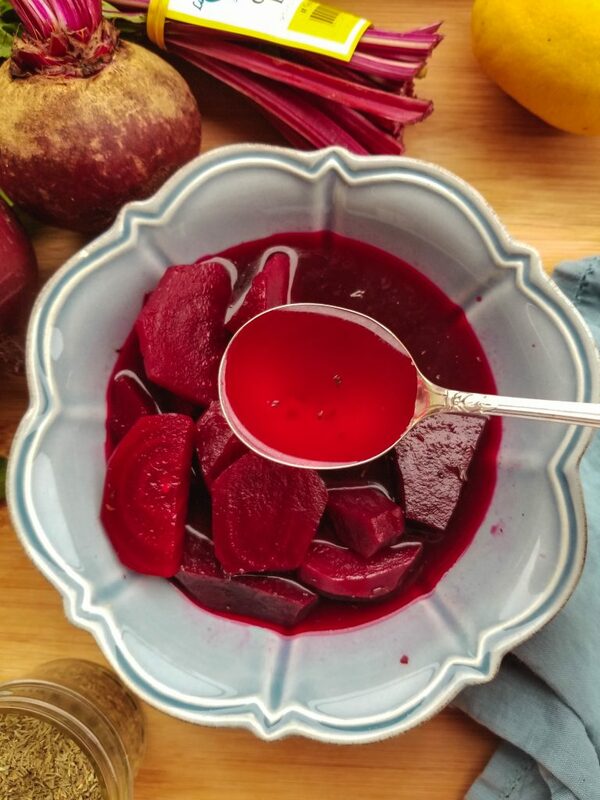 If made over high heat the beets will lose their colour and instead of a deep purple-red, you will end up with something more orangy – the taste will also be off. Secondly, the best colour is just under the beet skins, so use them! 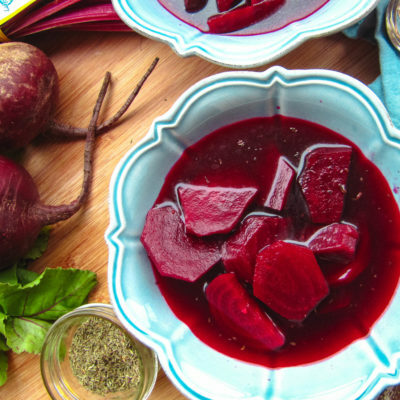 Use gloves to peel off the skin from the raw beetroot, and while cooking the beets in the bone broth, in a separate pot cook the skins, also on low heat. 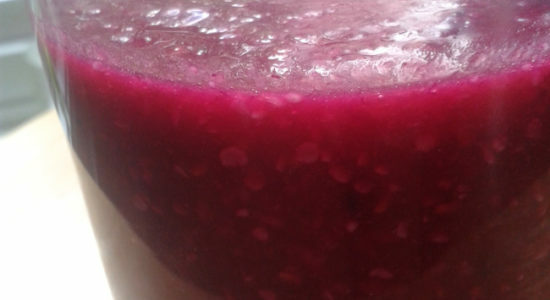 A beautiful purple-red beetroot soup, with a sweet and sour taste. This traditional soup is perfect during cold months. Over high heat brings water to boil with the shank and bay leaves. As soon as it comes to a boil turn down the to medium-low, cover and let it simmer for a minimum of an hour to several hours. You can also use boxed beef broth but this is less expensive and can be done overnight. 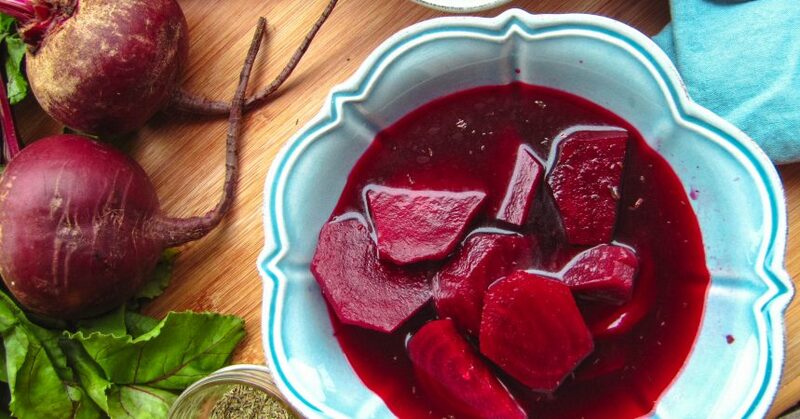 While the broth is cooking, peel the raw beetroots. Make sure to use gloves as your fingers will be stained. Save the skins. Cut the beetroot into quarters and slice into 1/2 cm-1cm pieces. Once the broth is ready throw in the beet pieces. Make sure cook on low heat. Cook for 45 minutes or until the beets are tender. 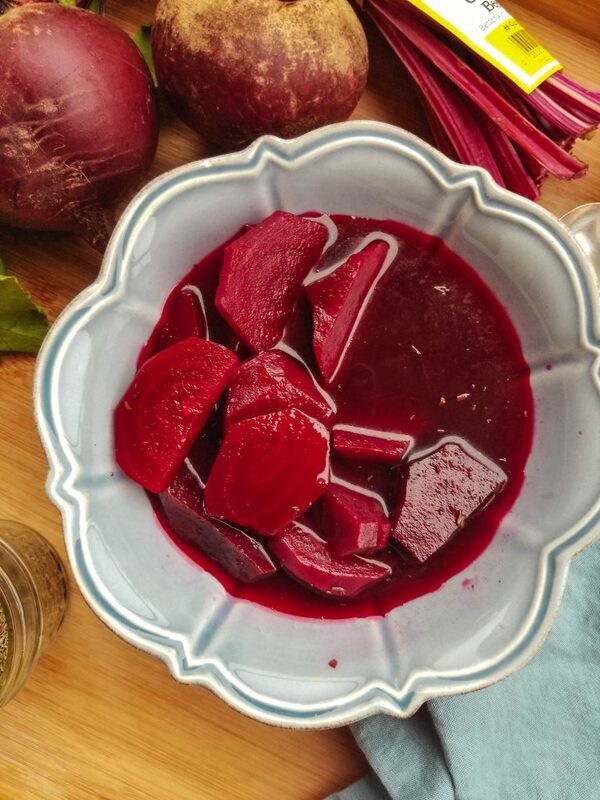 Once the beets are tender, drain the beet skin stock, using a sieve into the stock pot with the beets. Add the herbs de provence or thyme as well as the apple cider vinegar or lemon juice. Let it cook for a little bit more and taste to make sure that the sourness is too your liking. You can always add more. Add pepper and salt to taste. Serve hot, in a soup bowl or in a cup. This soup holds well in the refrigerator, over time it grows slightly tangier. 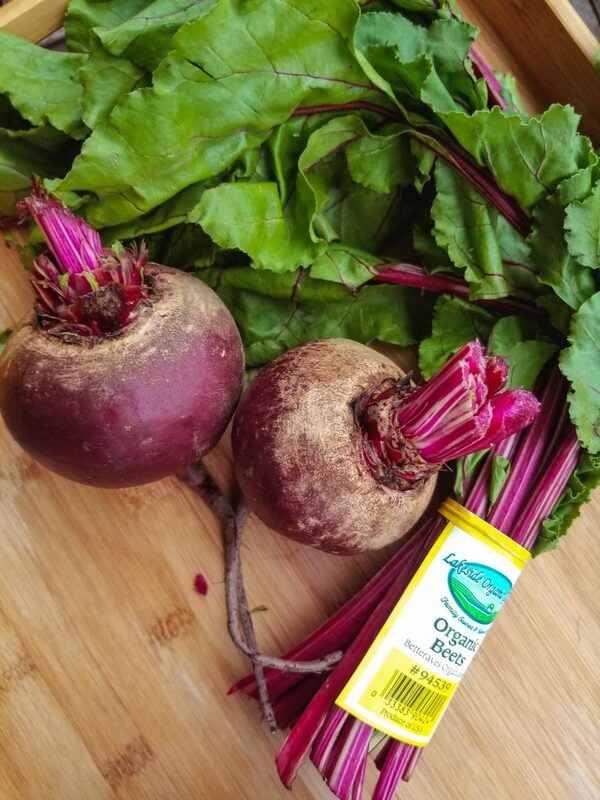 If you would like bigger pieces of beets, as I do, you can simply cut them in half, or if you are using smaller beets just slice them.